To hide its dramatic findings, the government released its mandated Climate Assessment Report on Black Friday while everyone was out shopping. Melville House is rushing the report into print - including all its charts, graphs, and illustrations - to broadcast its meticulous and devastating findings about the causes and impact of global warming. The U.S. Global Change Research Program (USGCRP) is mandated by law "at least every four years ... to submit to the President and the Congress an assessment regarding the findings of ... the effects of global change, and current and major long-term trends in global change." 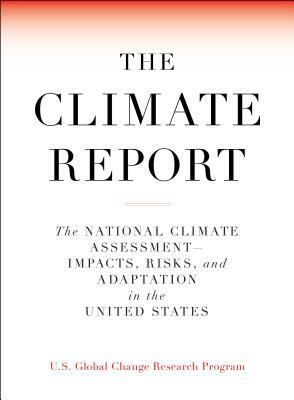 This year, the report was released in the wake of a series of some of the most devastating hurricanes in American history, as well as the horrific California wildfires. As the report says, "The assumption that current and future climate conditions will resemble the recent past is no longer valid." Detailing not only the devastating impact of global warming on the environment, but health issues leading to tens of thousands of deaths per year, and economic losses of tens of billions of dollars, the report concludes that "The evidence of human-caused climate change is overwhelming and continues to strengthen, that the impacts of climate change are intensifying across the country, and that climate-related threats ... are rising."